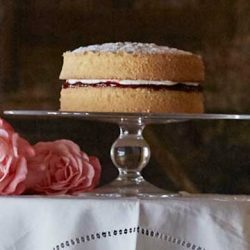 Victoria Sponge recipe by Royal Chef, Mark Flanagan, and Royal Pastry Chef, Kathryn Cuthbertson from Buckingham Palace. Another wonderful way to show off home-made jam. 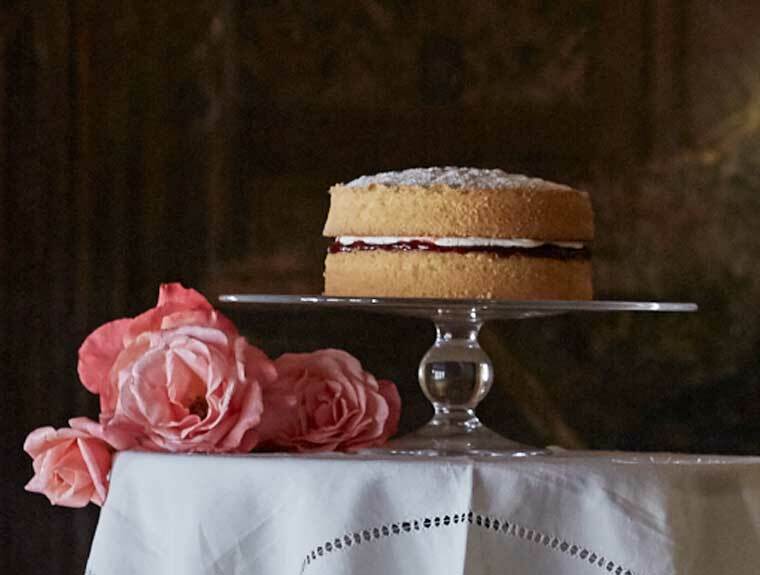 Queen Victoria is known to have had a sweet tooth, and this light but delicious cake was named in her honour. 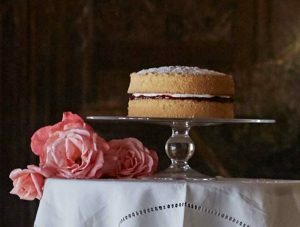 This Victoria Sponge recipe is from the “Royal Teas, Seasonal recipes from Buckingham Palace“. Written by the Royal Chef, Mark Flanagan, and Royal Pastry Chef, Kathryn Cuthbertson, this latest Royal Collection Trust cookbook celebrates the quintessentially English tradition of taking afternoon tea. From simple cardamom and orange shortbread to the show-stopping ‘Gâteau Opéra’ topped with gold leaf, the 40 mouth-watering sweet and savoury recipes are illustrated with specially commissioned photography at Buckingham Palace and Windsor Castle. 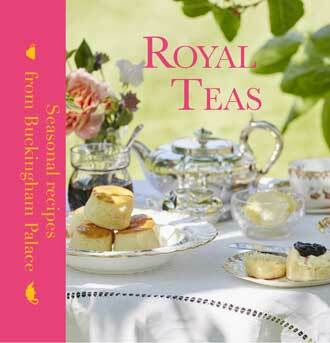 Royal Teas: Seasonal Recipes from Buckingham Palace is available on Amazon. Available from the 8 May 2017. Preheat the oven to 180ºC (350ºF, gas mark 4). Prepare the cake tins by greasing with butter and lining the bottom with a circular piece of baking paper. Leave to one side until required. Cream together the caster sugar, vanilla essence and softened butter in a bowl until light and fluffy. Gradually add the beaten eggs, a little at a time to avoid the mixture curdling. Finally, fold through the sieved flour until all the ingredients are perfectly combined. Divide the cake mix evenly between the two prepared cake tins and carefully smooth the mix to create two level layers. Place on the middle shelf of the preheated oven and bake for approximately 20 minutes or until the cake appears golden brown and an inserted skewer comes out clean. Once baked, remove from the oven and allow to cool slightly before turning the cakes out on to a wire rack. Cream the softened butter with the sieved icing sugar and the seeds from the split vanilla pod. The buttercream will become pale and fluffy with little flecks of vanilla seeds throughout. Once the cakes have completely cooled, carefully and evenly spread a layer of buttercream on to the top of the first cake. Next add a thick layer of your home-made jam, before carefully placing the second cake on top of the jam and very gently pressing down. Finally, dust the top of the cake with icing sugar. Serve with a pot of tea!